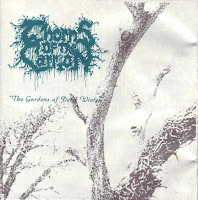 Even though Gorement had short existence and only one full-lenght album, this one emerged amongst the '90s Swedish death metal productions. "The Ending Quest" had all features of the Swedish scene, but the same time it was a bit different too, and unlike the ordinary Swedish death metal albums, it's easier to distingush from the others. First of all the sound had excellent quality and made the album so heavy as a death metal album should sound like. No flat sound, that may decrease the level of effectiveness. The main impression is the same way rough as it was usual, but in this case "the barking dogs seldom bite". The lyrical concept is more emotional, related to topics like melancholy and lonely suffering. They tried to complete that feeling musically too by the returning strong atmosphere and the chatchy melodies. 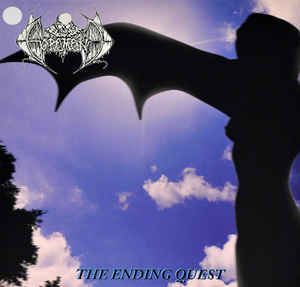 The way how they experimented with the contrast of harsh sound and soft concept could be quite enjoyable and made "The Ending Quest" probably the most diverse old school Swedish death metal album. "Dorval" by Detest was a less known, late came, but genuine classic of the early '90s death metal wave. The intro already assumes something unusual, with a background sound insolently taken from the first Terminator movie. 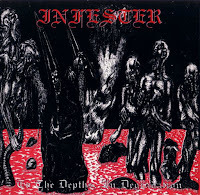 Unlike similar bands, Detest wasn't into the usual horror and gore based topics. "Dorval" was like the musical version of "Lailah", a science fiction comic created by the French comic artist Caza, by following it's story line. An unusual concept selection for sure, but the album is fully enjoyable without having any clue about the inspirational background. 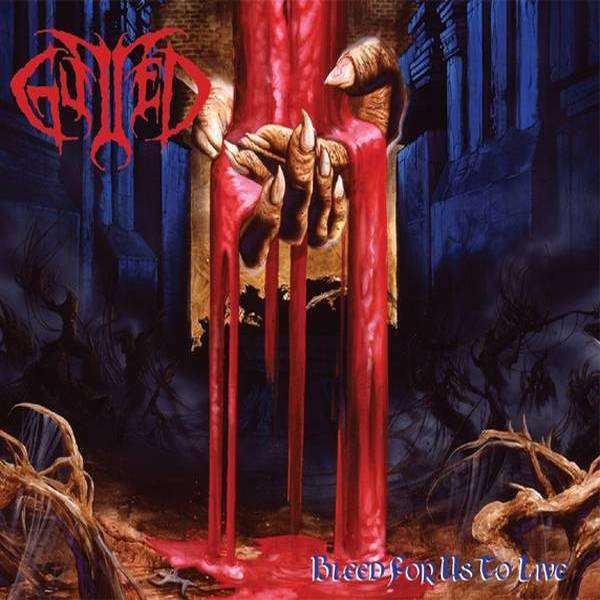 Typical old school death metal with raw themes and noisy solos gave the main musical characteristics, but the song structures were creatively handled and still the album could offer some nice and unexpected surprises. So even though the band mainly operated with simpler and raw themes, the album still became more complex than usual. It's not an easy record, but a very well composed one and may deserve more attention than how much it received back then. By listening Altar's aggressive anti-Christian musical rampage, the thought of the direct, strong influence of Deicide couldn't be shoo off. This extremely rageful and intense hammering definitely refers to Deicide in music, lyrics and main concept, but meanwhile listening the musical influence of Sinister and early Grave also could be suspected. The familiar sounding themes and impression may can distinguish "Youth Against Christ" from the exact Deicide copies, but not able to pull it out from their line. By the other influences of their music, the album didn't turn so repetative, and the classy old school death metal features are dominant. Altar basicly wasn't a very particular band, even though they probably had the strong ambition for that. 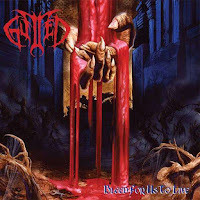 They offered high quality death metal as it was usual from Dutch bands, and except that their appearence could have been impressive only for the most obsessed fans of satanic/anti-Christian death metal and of course for those who couldn't get enough from Deicide. 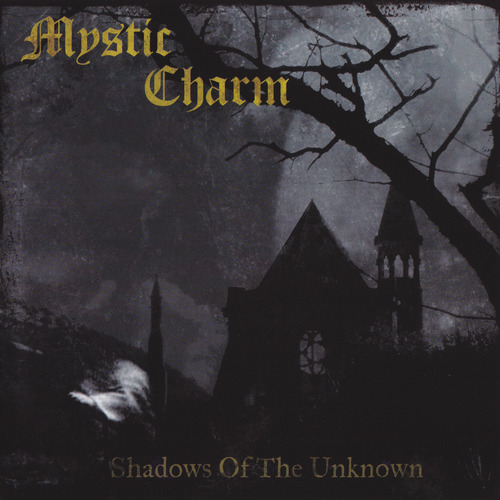 Mystic Charm's one and only full-lenght album is a forgotten genuine death/doom classic, that is probably one of the best early albums of the genre. 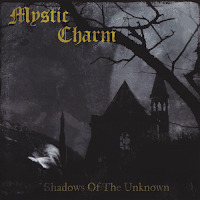 "Shadows of the Unknown" is not remarkable only because of it's excellent sound and themes, but because it created such a rough and powerful musical impression that could be a perfect example to describe what death/doom used to be about. Even though the album didn't slip into any expected exaggerated points that could be normal in this style, but kept staying in the middle way, it's still very effective. No melancolic or romantic references, no endlessly extented song lenght or funeral doom-like depths, it's about pure heaviness and strong sound. The occasional melodic atmosphere also don't have more role than it used to be, it's only there to complete the soundtrack of slow but certain destruction. The vocal style assisting well and sounding more like a demonic growl than female vocals, so it's definitely unlike the main tendencies. All-in-one it's a well composed masterpiece without any weak points. While the death metal scene had it's final strain by progressive and technical tryings before it's downfall, in the latest period of it's dark resplendency also featured some bands which didn't let the most notorious old school fans to be disappointed. One of these bands was Gutted. The two interesting thing about them was that they came from a region that was more or less isolated from the metal scene in general (Ohio), and it was a project of three brothers. Who said that death metal cannot stick families together? Middle speed, simple, basic themes and very rude impression were their main musical characteristics. After almost everything was done in this style already, Gutted wasn't in an easy situation to sparke interest with their gore based massive aggressiveness, but simplicity was a successful way. Partly because of the plenty of references to the big names of the genre, and partly because it could be always refreshing to return to the main roots. By assumed influences "Bleed Us to Live" was like the mix of Brutality, Obituary and Baphomet. After the biggest death metal classics probably many may thought that the scene was exhausted. And it couldn't shock the metal audience anymore cause everything was made already that could be done in this genre. And then Infester came. Their one and only album redefined what disturbing sound is. Since death metal is like a musical version of horror, and it's based on exaggerated features, it's not an easy mission to show something extraordinary. But this album made it by it's inhuman brutality. 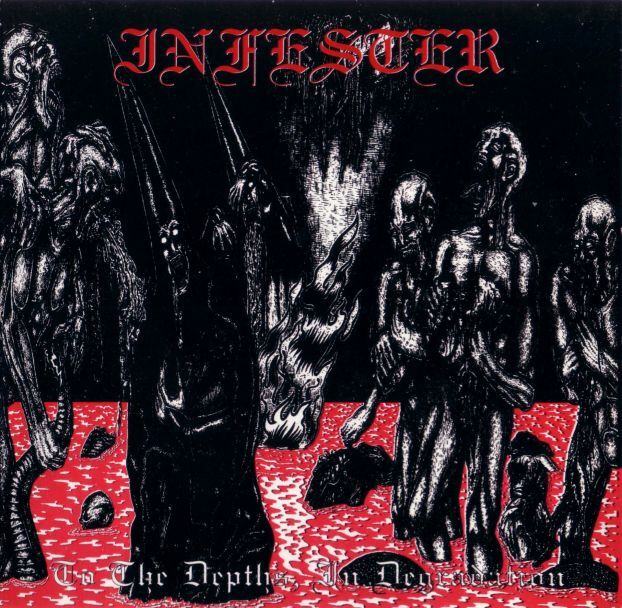 Not the intensiveness was mainly responsible for that, but the dark and demoralizing atmosphere and the endlessly animalistic vocals. It really sounds like rageful screams from a hellpit by the most wretched demons. The combination of the two was something less common that time, since atmosphere rarely had important role in death metal. The main impression was something like the mix of the sound of gory brutal death, the heaviness of death/doom, and the putridness of the crypt reeking old school classics. It's not an easy album because of it's disturbing effect, but definitely a remarkable one. In every genres have to be a black sheep band, that doesn't followed strictly the basic features of the actual style, but still it had reasonable influence on it's development. Or from another view: there always have to be a band which is more genuine or experimenting than the others. 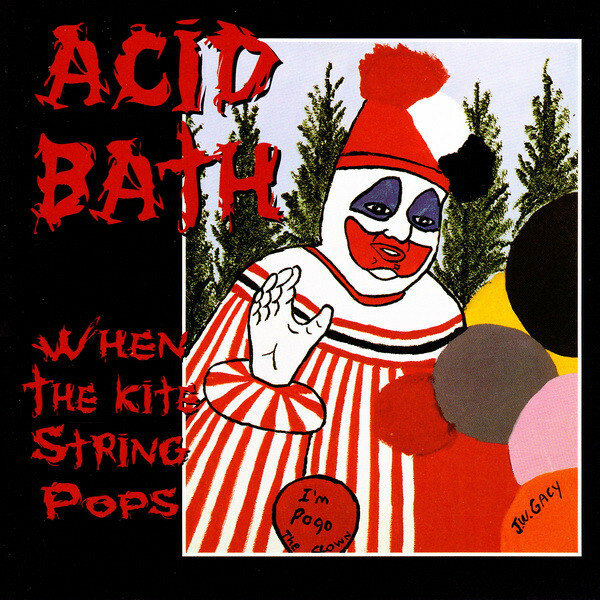 In sludge metal that band was Acid Bath. Their music had more melodic parts and was more diverse than the other classical bands of the genre. In general it thad an aggressive impression and sympathized with the same lyrical concept based on violence and drug abuse, but the melodies, doom-like influences and occasionally romantic lyrics gave a gloomy, gothic touch to the main view. The same time they involved extreme elements that are more common to hear into death metal. Of course the sick, morbid and scandalous section was also not skipped, that's already shown by the self-portrait of John Wayne Gacy used up for album cover. 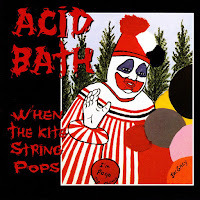 So it was quite wide scale which Acid Bath pulled together for self-expression, and that high diversity made "When the Kite String Pops" an interesting classic.